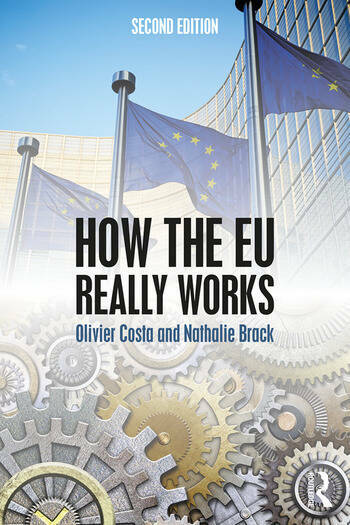 This book provides a concise analysis of the EU and its dynamics by paying particular attention to its day-to-day operation. It aims to help students and scholars understand its evolution, its institutions, its decision-making and the interactions between the EU and various actors. Avoiding abstract theorizing, the authors propose an easy to read analysis of how the Union works while recognizing the complexity of the situation. Throughout the book, the key issues of European integration are addressed: democratic deficit, politicization, the role of member states, institutional crisis and citizen involvement. More in-depth discussion of the role of interest groups in EU policy-making. This text is of key interest to students, scholars and readers interested in European Union politics and studies. Olivier Costa is CNRS Research Professor at the Institute of Political Studies of Bordeaux, France. He is also Director of European Political and Governance Studies at the College of Europe in Bruges, Belgium, and co-director of the Jean Monnet European Centre of Excellence of Aquitain in Bordeaux, France. He is associate-editor of the Journal of European Integration, and member of the editorial board the Journal of Legislative Studies and the Italian Political Science Review. Nathalie Brack is Assistant Professor in the Department of Political Science and at the Institute for European Studies of the Université libre de Bruxelles (Cevipol), Belgium. She is also Visiting Professor at the College of Europe in Bruges. Her research has been published in JCMS, the Journal of European Integration and the International Political Science Review among others.